I have been a club dj for many years and am passionate about my music. I have been active on the scene in Ayia Napa for some time, and it was there where i began working for a large company which owned the biggest clubs. bars, and the only English speaking radio station in town. It was here, where in 2004 i was given the chance to go on the radio initially for a two hour slot once a week, in which i presented a magazine style show aimed at promoting my company’s other night time venues. To cut a long story short it went very well, i was hooked on radio and as time went by, i began experimenting with various forms of audio production. In keeping with my job as a club dj i carried on at the station until there came a time when i realised this is what i wanted to do with my life. 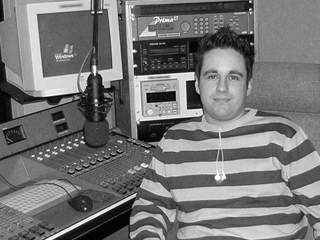 I had a passion for radio which i coulndt ignore and so i began searching for courses which i could do proffesionally which would give me the skills and knowledge to become a radio producer. And so i found Bournemouth University. I applied, i was accepted and here i am! Im loving the course, its surpassed all my wildest expectations, and for the first time in my life, i feel like i am doing the right thing for me. My strengths lie in technical production and sound editing, so i would ideally be looking for employment either within independent production companies once i leave, or with the BBC. Outside of all things radio, i love reading up on the history of radio, watching tv (yes admittedly i do get a lot of inspiration and ideas from the dark side!!) and spending time with the people i love. I also love dj’ying and am part of a consortium consisting of 3 other dj’s based in London known as the Specialists,. 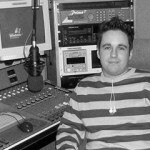 We are quite well known and enjoy links with the music industry to the highest level, as my profile audio illustrates. If you are reading this and you are in the same frame of mind i was when i first stumbled across BIRSt (admittedly somewhat confused and scared about my future, but somehow knowing i loved radio and wanted a career in it! ), dont think twice! Send off for a prospectus and get here, you will never look back or think twice! The best move i ever made. Have a listen to my profile, and keep checking back for work i upload throughout the year!